An Istanbul court is set to begin the trial of four top IDF commanders blamed by Turkey for a deadly 2010 clash on a Turkish flotilla ship. An Istanbul court is set on Tuesday to begin the trial of four top IDF commanders blamed by Turkey for a deadly 2010 clash on a Turkish-owned ship that attempted to violate Israel's maritime blockade of Gaza. The hearing, which is likely to rekindle tensions between the two former allies, Turkey and Israel, comes months after the court approved an indictment by prosecutors, who are seeking life sentences for the top Israeli officials in the deadly maritime assault. The accused are all but certain not to attend the trial, since Israel's government ruled that the soldiers who participated in the military operation to take over the six flotilla vessels that were involved in the 'Mavi Marmara' incident, and redirect them to Ashdod port, did nothing wrong. One of the five plaintiff lawyers, Buhari Cetinkaya, told AFP that prosecutors had looked up the chain of command after failing to identify all the troops who were involved in the clash that took place on the Mavi Marmara, sailing under the Turkish flag and owned by the terrorist-linked IHH organization. Eight Turkish nationals and one American were killed after armed terror activists attacked the IDF soldiers -- taking several as hostages and critically injuring a number of others -- as they boarded to take over and redirect the vessel after its captain ignored repeated requests by the Israeli Navy to change course. "We had identified some of the Israeli commandos involved in the raid but I think the prosecutor was not able to verify from the Israeli side," Cetinkaya said. "So the case landed on the four Israeli commanders, as the decision passed down through a mechanism headed by these people," the lawyer added. The accused officials are: Former IDF Chief of Staff Gabi Ashkenazi, former Navy Chief Eliezer Marom, former Military Intelligence head Amos Yadlin and former Air Force Intelligence Chief Avishai Levy. 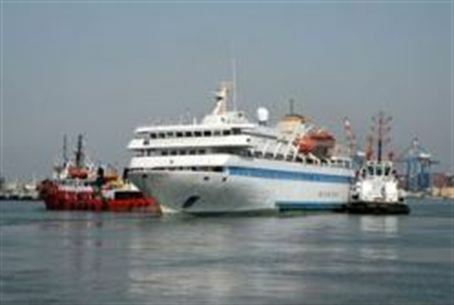 The Mavi Marmara, alleged to be carrying "humanitarian aid for the people of Gaza," was the largest ship in the flotilla aimed at breaking Israel's Gaza blockade on May 31, 2010. When it was searched upon its arrival at Ashdod port, investigators discovered the vessel to be carrying no humanitarian aid -- in fact, no aid supplies at all -- whatsoever. Last year, an Israeli probe ruled the actions of its commandos had not violated international law, in a finding that Turkey said lacked credibility. A United Nations report in September 2011 found Israel had used "excessive" force in boarding the flotilla vessels, but also said Israel's naval blockade of Gaza was legal and that the flotilla organizers had acted "recklessly" in attempting the mission. The incident exacerbated an already-growing diplomatic crisis between Israel and Turkey, once regional allies. It resulted in a dramatic downgrade in diplomatic relations and expulsion of the Israeli ambassador from Turkey. Military ties were also cut. This past May, Deputy Foreign Minister Danny Ayalon said he was expecting foreign diplomatic pressure on Turkey to stop the trial that he said could have "wide-ranging implications for NATO and U.S. forces," which frequently board ships suspected of terror activity. Last month, IDF soldiers boarded a Finnish-flagged ship after it tried to breach Israel's maritime blockade on Gaza, which prohibits all naval traffic in and out of the coastal territory due to the repeated attempts to smuggle arms and explosives into the region for use in attacks on southern Israel.